Meadow Springs Short Film Festival attracts more than 400 entries from around the world. 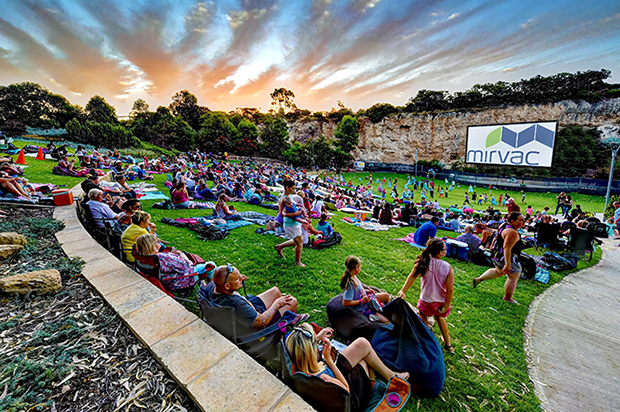 As part of the Mirvac Summer Festival, Mirvac hosted the annual Open Air Cinema in Meadow Springs, Mandurah, WA. To further expand on previous years success the 10 day cinema festival included the inaugural Mirvac Short Film Festival on 15 January. More than 400 local, national and international applicants submitted short films around the theme 'My Story, My Place'. A local Dawesville applicant, Nicholas Lacey, who submitted his video, "Pursuit of Light", was one of the six finalists on the night. Mr Lacey's film explored one father's fight to show his son that anything is possible. The judging panel, which included Academic Chair of Screen and Production at Murdoch University, John McMullan, Coast FM presenter, Ali Hill, and Mandurah Performing Arts Centre Manager, Guy Boyce, assessed all films against the key judging criteria: relevance to the theme, 'My Story, My Place'; creativity and originality of content; and, coherence of the storyline. The technical excellence of each film was also evaluated, as was the emotional response the film generated. John McMullan said the judges were incredibly pleased to receive such a wide range of entries in age and experience of the filmmaker, as well as film content and production style.